Browse: Home / Busy Week With Bloggy Travels! Busy Week With Bloggy Travels! I am sitting here playing with the cute HP Mini 110 by Studio Tord Boontje getting ready to leave for the airport. I have one busy week ahead of me. I am so excited about the events but of course sad to leave my babies! First it’s off to Texas for a fun Frito Lays trip. I am excited to meet up with a great group of bloggers and visiting the Frito Lay Culinary Center, meeting the Frito-Lay Chefs and learn more about the company. Then on Tuesday Tanya and I jump on a plane together to head to Ohio for an exciting Smuckers Event! We will be meeting with the company, learn about recipes and products. I will be tweeting and possibly posting throughoutthe week. So follow me on Twitter to see what I am doing! Safe travels to all the bloggers! Oh, and Happy November! My baby turns 4 this month. Hope yours travels are fun and safe! Wish I could be joining you! It’d be great to see you again! 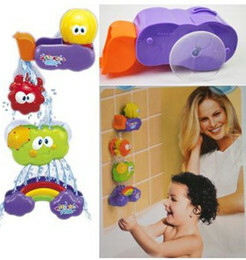 .-= Jennifer @ J. Leigh Designz´s last blog ..Plan Toys – Quality Toys to Last a Lifetime! Review & Giveaway! =-. Wish I were there school an midterms come first. Have fun! .-= Shannon (The Mommy-Files)´s last blog ..Blogger’s Santa Swap =-.